Meet The Genocidal Dead Colonialist The GOP Wants to Make A Citizen | Meet The Genocidal Dead Colonialist The GOP Wants to Make A Citizen – The Republic of T.
Republicans can’t pass immigration reform, but they can take time out from obstructing anything that might remotely do the economy some good, to confer citizenship on a genocidal colonialist who’s been dead for over two hundred years. “Bernardo de Galvez“. Licensed under Public domain via Wikimedia Commons. Meet Bernardo de Galvez y Madrid. Never heard of him? He’s a Spanish military leader who was — among other things — the colonial governor of Louisiana and Cuba. He is credited with helping the original thirteen American colonies gain independence from the British. The city of Galveston, Texas, is named for him, and there are statues of him in Washington, DC, Florida, and Texas. A famous “haunted portrait” of de Galvez hangs in the Hotel Galvez, in Galveston. 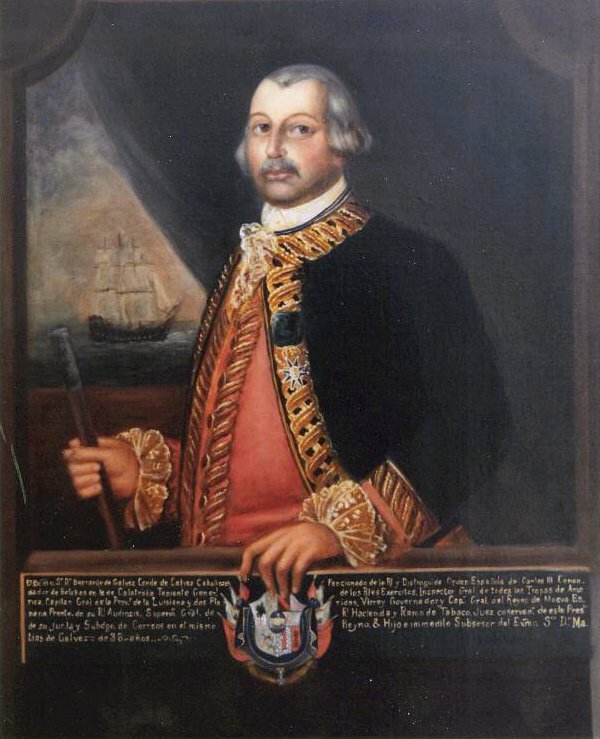 He’s been dead for more than 200 years, but he’s back in the news thanks to Republican efforts to make Galvez — who’s been resting in peace in San Fernando, Mexico — an honorary citizen. Late Friday evening, Sen. Marco Rubio (R, Texas) introduced S.J. 38, a joint resolution conferring honorary citizenship upon Galvez. Rep. Jeff Miller (R, Florida) introduced the House version in January. Galvez was famous for his departure from conventional “Indian policy” of the time. Prior to Galvez, Spanish policy had always been to deny arms to Native Americans in the New World. With relatively few troops under his command, and outnumbered by the Apaches and Comanches who historically warred with each other, Galvez reversed the old Spanish policy, and actively provided arms to the Native American tribes. So, why are Republicans trying to make a dead guy who’s been buried in Mexico for 200 years an honorary citizen, while blocking immigration reforms that might offer a path to actual citizenship for undocumented immigrants? Well, Bernardo de Galvez does occasionally turn up on list of “Latino Contributions to American History,” despite being from Spain, and therefore Hispanic and not Latino. Maybe Republicans are too afraid of the right-wing of their party to stand up for immigration reform. Maybe Republicans are betting that Latinos are idiots, and can be mollified by moves like this. Most likely, Republicans are so deluded that they don’t understand that Latinos will blame the GOP for failing to pass immigration reform. Conferring honorary citizenship on one guy who’s been dead for more than 200 years won’t make anyone forget millions of living breathing human beings waiting for a path to real citizenship, or forgive Republicans for blocking that path. It continues to amaze me (and by “amaze” I mean “confirm my worst suspicions”) that Republicans/conservatives/”right”-wingers generally seem to believe that we non-Republicans don’t notice their attempts at three-card monte or the hidden ball trick. The Republicans have finally found someone with an Hispanic name whom they can honor, without offending or minimizing their party’s anti-Latino antagonism. As you said, the fact that this historical figure was not Latino makes this acceptable in their book. When they honor Cesar Chavez, I’ll sit up and take notice. Latinos are not going to be amused by this.